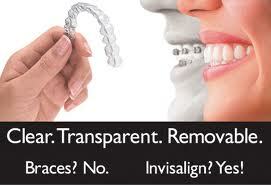 healthier mouth with invisalign in as little as 6 months*! Invisalign, or clear (also known as "invisible") braces is a type of orthodontic treatment where teeth are straightened, gaps are closed, and crowded teeth are separated without the discomfort and unsightliness of traditional metal wires and brackets. More correctly, this treatment is known as Clear Aligner Therapy. To fix your orthodontic problems, a series of clear removable plastic aligners are fabricated and are changed every 2 weeks. 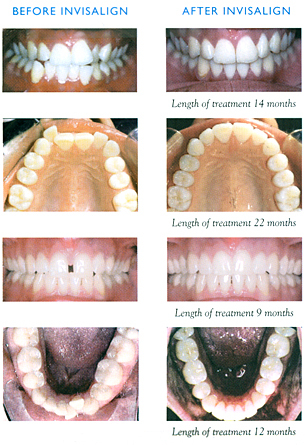 Tooth movement is achieved gradually until a satisfactory result is reached. 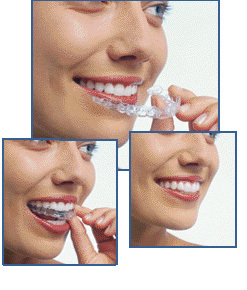 Dr. Prilutsky is a certified invisalign provider, having completed both basic and advanced training. What does having clear aligner therapy involve? On your first consultation appointment your teeth, gums, and X-rays are evaluated to determine whether or not you are a good candidate for invisalign treatment. Not all patients are suitable for clear aligner therapy, and your oral health must certainly be good. Once it is determined that you are a suitable candidate for invisalign, accurate impressions of your teeth are taken, as well as digital pictures of your mouth. Your custom-made aligners are fabricated and ready to be given to you a few weeks later. You will be given instructions and taught how to properly care for your aligners. You will return to our office approximately every 6 weeks for follow-ups, adjustments, and delivery of new clear aligners. Call us today and schedule your appointment for a FREE evaluation and consultation to see if you can benefit from invisalign! *Not all cases can be completed in 6 months. Case success depends on the complexity of your case, your body response, and your compliance.